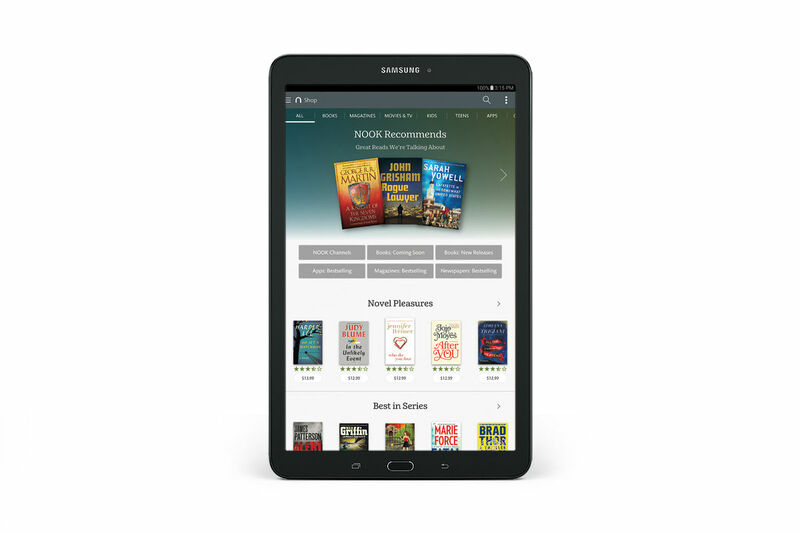 Barnes & Noble introduced a new Nook tablet this morning, the Samsung-produced Galaxy Tab E Nook. Priced at $249, the idea is to bring a large screen tablet device to the masses for enjoying all of B&N’s content. The Galaxy Tab E Nook features a 9.6″ AMOLED HD display, Qualcomm APQ 8016 Processor, 16GB of onboard storage, microSD slot for up to 128GB of storage, and 5MP rear-facing camera. Not only will you find B&N’s readable and playable content, Samsung is bringing a Multi Window UI for users to enjoy, and the tablet also comes preloaded with a suite of Microsoft applications. The tablet is purchasable right now on the Barnes & Noble website, as well as in-store.